As in other digital maps you can change the settings. Scroll down to read about the settings you can change. To change from the standard map to a satellite map click on the button on the top left of the map that reads: 'Satellite'. It is the right one of the three dark coloured buttons. See the maps below. To change to the map that shows the traffic click on the left button. To change back to the standard map click on the button in the middle. 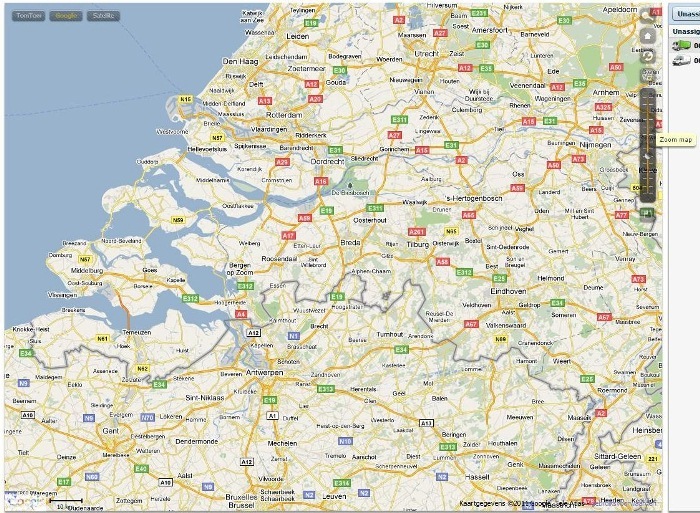 To zoom in (or zoom out) on the location of the vehicle go to the right side of the map. Here you find a bar that is called: 'Zoom map'. Clicking on the little ball and moving it up will make the map zoom in. Moving it down will zoom out. Scrolling the wheel on the computer mouse will zoom in or out on a specific location where the mouse is pointing. 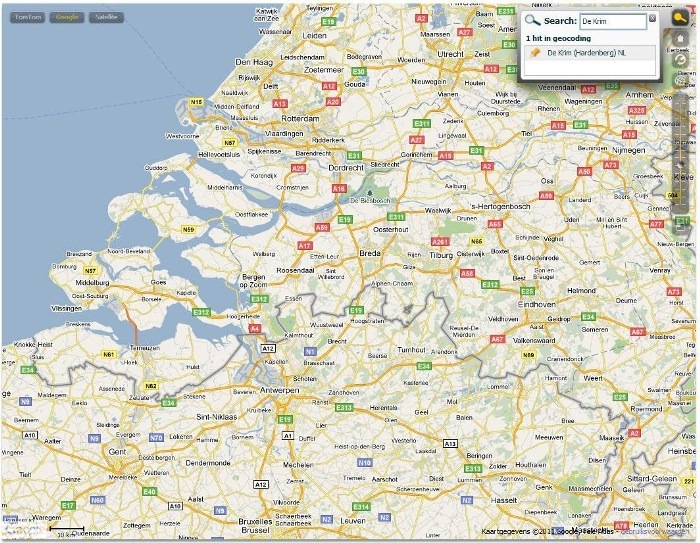 To search for a place click on the button with the magnifying glass on the top right side of the map. A small screen will appear where you can fill in a location. When you hit 'Enter' the system will give some suggestions that it knows of. 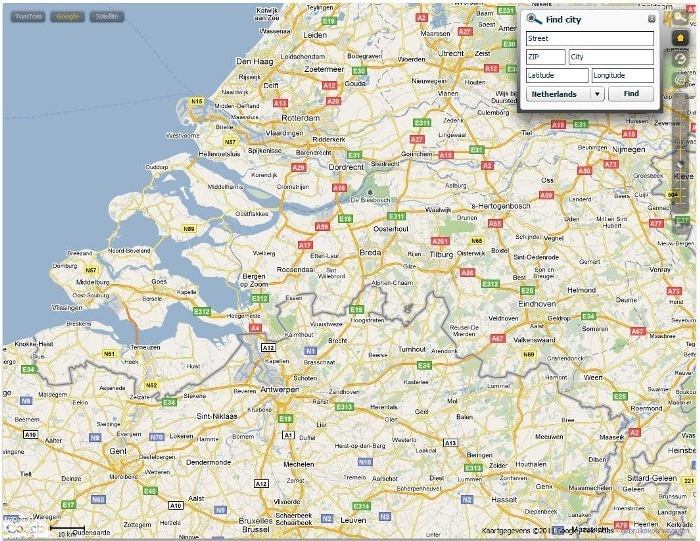 To search for a city click on the button with the house on the top right side of the map. A screen will appear where you can fill in a street, postal code, city or gps coordinates in a specific country.